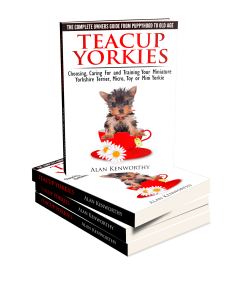 Be very careful if you see Teacup Yorkies advertised for free, it is likely to a scam or rip-off! I just wanted to put out an alert after being tipped off to yet another scam. In this scam someone claimed to have two teacup Yorkies puppies for adoption/rescue, therefore as they just wanted to rehome them, they were willing to offer them to anyone who wanted them for free. While on the surface this offer appeared to be genuine, it turns out there were no puppies at all and to ‘cover costs of shipping’ you had to wire money via Western Union to Cameroon in Africa! The rule, it is seems too good to be true, it probably is – definitely applies here! 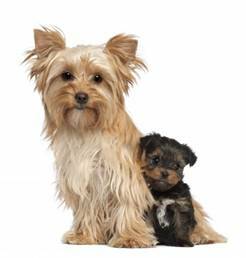 Whether you know them as Teacup Yorkies or also miniature Yorkshire Terriers, Teacup Yorkshire Terriers, mini Yorkies, micro Yorkies or Toy Yorkies – there is no doubting that these small dogs are sought after and relatively expensive. So forget the idea that some kind soul is just going to be giving them away for free. If you really are trying to find them on the cheap then is a teacup right for you? The ongoing costs will certainly add up when you include potential vets bills. It is far better economy to spend more on a teacup from a genuine, ethical breeder where you will pick up a well-cared for dog that will save you money by being healthy and having less problems and health issues in the long term. Be very wary of people selling Teacup Yorkies on Facebook or in classified ad websites such as Gumtree and eBay, many scammers operate here when people are at their most vunverable, desperate to get a teacup dog at a bargain price. MY DAUGHTER LOST HER LITTLE YORKIE A FEW MONTHS AGO…. I WAS HOPING TO FIND HER A TEA CUP YORKIE FOR CHRISTMAS…. SHE LOVED HER LITTLE GUY SO MUCH….. HIS HEALTH AT THE END WAS FAILING….. THEY WERE THE BEST OF FRIEND….. HE WAS 15 WHEN HE CROSSED THE RAINBOW BRIDGE….. THANK YOU FOR YOUR TIME…. I to was scammed in the same way her name is VICKY she to claimed to have two tea cup yorkies for free . All we had to do is pay for transport. DON’T DO IT!!! You will get ripped off!! My husband and I just had communication with a women who says she had to give two teacup yorkies away because first her kids were allergic and then it changed to them being to busy to take care of them as they were missionaries in Mexico for a Baptist Church. God Bless them. When pushing further in finding that they were in Mexico. The alert went up and I knew this was a scam. If someone really cared about their puppies they would not ship them without meeting the person that was adopting them. This ad was placed on Bookoo. Beware everyone! Julia was the persons name. Nancy, have you adopted a puppy yet?